For everyone who’s been wanting a physical copy of Agent to the Stars, but isn’t willing to pay the between $300 and $1,000 that the limited edition hardcover’s been going for online, here’s some good news: The trade paperback edition is officially out in the world starting today. w00t! Longtime Scalzi obsessives will remember that Agent is actually the first novel I wrote, back in 1997, when I wrote it as a “practice novel” to see if I could actually write to novel length. Since then it’s had lots of adventures as it moved toward print, and I continue to be amazed that it just keeps coming — for a practice novel, it’s had an amazingly long and successful life. It does help that it’s actually a pretty fun story. Since the story is now 11 years old, but is supposed to take place in contemporary time (i.e., now), for this edition of the book I’ve gone in and made some updates to the text to make sure it reflects the world of 2008 accurately. The changes are subtle but they’re definitely there. As such, this version of Agent to the Stars could accurately be called “the author’s definitive version.” Which is to say if you get this one, you’re getting the story as I prefer it to be read (if you got the other version — hey, it’s a collector’s item. Everybody wins). If you haven’t read this one yet, I hope you’ll check it out. It’s tons of fun and I had a blast writing it. I think you’ll have a blast reading it too. Updated version? This isn’t going to be like the re-release of the Star Wars movies with the added CG, is it? I’ve seen so many good reviews for this recently, it’s on my MUST list. I read the original Agent to the Stars (Agent to the Stars Classic?) this summer and enjoyed it. The London (Ontario) Public Library has a signed copy. Are the changes simply swapping celebrities of 1997 for the celebrities of 2008, or are there other differences as well? Seriously, that book was more fun than Chad doing the monkey dance. Get thee all to a bookstore and rejoice! Well, mine is in the mail in any case, but how will you replace the Pauly Shore jokes? I mean, they’re a bit outdated now, but it’s Pauly Shore. We don’t get that kind of comedic incompetence from a single actor anymore. That cover is made of AWESOME. Can’t wait. And let me add that you have one fantastic cover there — retro-tastic! I should mention again that my copy of the hardcover is available for the low, low price of $1500. Amazon and UPS tell me that my copy is on the UPS truck on the way to my house right now. I am frabjous with glee! Did you edit out the references to “gang-banging” that was just cringe inducing. I have read this online. I look forwards to getting the new edition so that I can share it with my boys. I know they’ll love it. ATTS is my favorite of your books. I’m looking forward to reading the upgrade. I enjoyed the book in it’s web incarnation, but it’ll be nice to get a ‘proper’ copy to shelve beside my other Scalzi books. Sadly, the UK Amazon store just mailed me to say that they weren’t expecting to be able to send it out for about another month. Yaah! Another Scalzi book to add to the new and improved bookshelves. On a semi related note; I had recently unpacked all of my books and put them up on the “new and improved” bookshelves and then went WTF. Why, because I couldn’t find OMW or TGB anywhere. TLC, check. Z’s Tale, check. TAD, check. Where are they? I was sure I bought them before but did I? So I went out and bought them again. Brand new and shiny. So, either I have now supported the Scalzi empire fully or added extra to Athena’s college fund by buying twice. Holy crap, I own a book that’s worth maybe $1000? I need to get you to autograph it. Maybe it will put my not-yet-existing kid thru college! My Dad has already tried to steal mine. Which is so wrong! I never used to steal his books. I think I’m going to have to automatically send him a copy of any Scalzi I purchase. The UPS man just delivered my copy. Oh, the little Amazon smiley was sitting on the desk when I got home… I am properly squeegous. And John – No, thank you. Amazon.co.uk has told me that they have shipped my copy to me and that I should receive it within this week. I look forward to that. This is very discouraging, John. Very discouraging. From 1990 to 1992 I was Cosmo Magnus, Agent To The Stars (But Seriously, Babe, Just Call Me Max) in St. Louis, MO. But did I think to write a novel about it? Did I? Even with the amazing goings on with Pretty Weird Carter, Jim The Photographer, Herb The Photographer, Kimora and Charlie Moron? Damn those lost opportunities, is what I says. You’re just too fast for me, even eleven years late. I thought I was going to get away with sending you $1.00 for my electronic edition. I assume in ten years we will have the colorized version and ten years later the digitally remastered version. I read the original version. 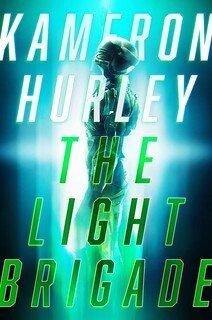 I enjoyed it as much if not more than most humorous scifi. Please keep in mind I tend to read Pratchett and Holt and Moore. Good writing moves to the top. You are over the top. I may be forced to reread. 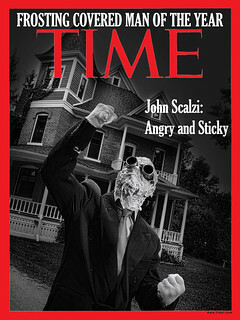 The first John Scalzi novel I ever read — ‘way back when — and, just as with Old Man’s War, I got it by paying the proprietor of the Web page a buck-ninety-eight (or some such miniscule amount) via PayPal, and then printed it out (because I spend too many hours staring at computer screens as it is) and somewhere in my house both of those early examples of the Scalzi oeuvre still exist (I just don’t know where they might be). Forgive me if this has been answered elsewhere, but is the old online version to be updated to the author’s definitive text? Got my copy by the post today! Wheee! I’m looking forward to reading this! SO. MUCH. Not that you need any further reinforcement to the idea it was smart to put that story online, but I remember finding the internet txt for Agent and I started reading a few pages. Then I printed it off at work and read the whole thing. Then I gave it to a friend at work, he read it also, and then one more friend took it home. That free online piece sold one of each of your books (so far) to me, one of each of your books to my work friends, 3 duplicates to my father and sold 3 numbered editions of agent and one lettered edition. Not a bad return. And if this is the best place to brag about such things, I have #18/1500 and letter C of the lettered editions. Can I ask who got A and B? i don’t know if you get to read all the comments generated here on your ‘whatever’ website, but i wanted to let you know that i loved Agent to the Stars. i re-read it every few weeks, and i read and re-read books constantly, my whole life – i’m 57. mostly science fiction and mysteries, but finding Agent to the Stars was a great find – will you be writing a sequel? humor in GOOD science fiction is hard to find, and you have the talent for it.